At the American Copy Editors Society (ACES) conference on March 29, the society announced changes to the Associated Press (AP) Stylebook that officially went into effect this week on the first day of April. The AP Stylebook is updated annually, but the latest changes have caused controversy for writers publishing for American audiences. Writers and editors who subscribe to this style guide are constantly re-training themselves to adhere to new guidelines that accommodate for 21st-century language and media needs. Signs, symbols and singular verbs underwent significant changes in this year’s style guide. New to the rules is the acceptance of the percentage sign after numerals rather than spelling out the word “percent.” The term “data” now takes a singular verb, in an effort to recognize its status as a non-count noun, in that the items to which the noun refers cannot be counted. The AP’s Paula Froke also announced that the AP Stylebook is proposing changing the guidance to using numerals in all cases including 1 through 9. Changes to hyphen usage were significant topics of conversation at the conference as well. 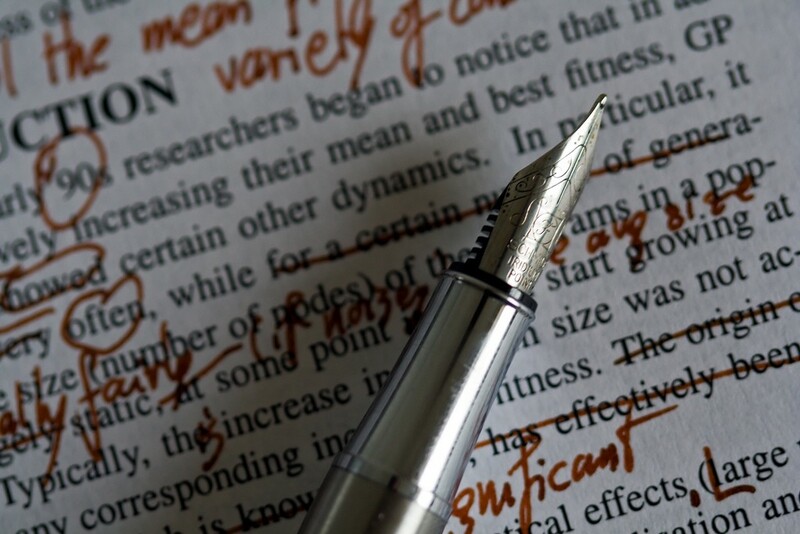 The proposal suggests that no hyphen is needed if the modifier is commonly recognized as a single phrase and if the meaning is unambiguous without a hyphen. Notably, dual heritage terms such as African American and American Indian now should be spelled without the hyphen, according to the new proposal. Editors propose changes to the AP stylebook annually, but this year’s changes are significant in that they reverse or alter rules that have been in effect for decades. For example, using the symbol for percent has not been accepted practice since the stylebook’s creation in 1953. Understanding the term “data” as a noncount noun in journalistic writing (although not academic or scientific writing) shows a commitment to moving towards writing for understanding rather than adhering to latinate roots that shaped 19th-century English but are no longer significant in today’s vernacular. These proposed changes show that AP stylebook creators and editors are concerned with the ways in which writers shape and spin stories for readers. Editors have long bemoaned “weasel words” which spin facts into value statements. Terms like “nag” rather than “remind” and “racially-charged” in lieu of “racist” color stories with the writer’s opinion and influence the audience’s understanding. As writers and content creators, we strive to promote learning and comprehension of language. Though we at Clyde Group are generally fans of the AP Stylebook, we ultimately use the guidance as suggestions. We use these rules to unify our writing with that of the media our audiences consume. Consistency is key. In an increasingly social world in which every character counts, new stylistic changes like the % symbol replacing the term “percent,” is as much a space-saving technique as it is an admission that symbols are a significant part of today’s written language. To quell naysayers, the AP’s Paula Froke commented that “The goal is not to make a statement.” Instead, the changes seek to ease writers’ lives, lessen editors’ workload and create more easily consumable media for audiences across the country. Regarding the proposed change from spelled-out numbers to numerals, those opposed are concerned about the potential for typos. It’s far more likely that a writer may accidentally type 3 when she meant 4 than typing “three” when she meant “four.” Similarly to the issue surrounding the % symbol, changing accepted guidelines to include singular numerals will save space while recognizing that readers understand symbols as language. In an effort to include guidance on race-related coverage, this step to normalize the unhyphenated terms is an effort to remove the perception of pejorative othering stemming from the visual division of identities. Hyphenating racial identities has been a contentious issue in writing for over a century — even Teddy Roosevelt spoke out against hyphenating identities in a 1916 speech. Though his opinion against hyphenating included pushing to drop the adjectival phrase so as to purportedly create a more united America, the AP stylebook’s new proposal intends to keep the ethnic descriptor as an equal part of the phrase rather than linking it to the term “American” as a sub-identity. This proposed change shows that the AP is concerned with the ways in which race is covered in the media, and is interested in giving more credence to the holistic nature of ethnic identity and excluding judgement from journalism. The AP’s proposed changes are an acknowledgement of language’s power to color our understanding and attempt to streamline stories to share facts rather than value statements. The paramount purpose of language is to communicate effectively to your intended audience. Understanding of written text is important because the writer usually has just a single chance to get her point across to readers who are quickly jumping from story to story. As the AP Stylebook presenters noted, “let readability and comprehension be your guide.” Writers’ ultimate goal is to convey information in a comprehensible, digestible and eloquent manner. Rules like that of the AP Stylebook are significant only in that they create a uniformly understood language. The stylebook becomes obsolete when language, written or spoken, changes to the point that the rules hinder, rather than promote, understanding. Obsessed with linguistics, communication trends, rules about words, and Bruce Springsteen.